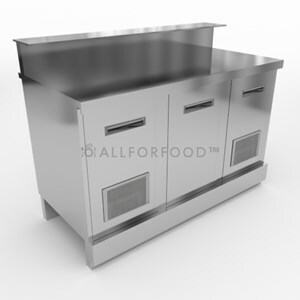 AllForFood offers a vast selection of semi-finished counters to furnish your bar. Shop online and choose amongst a variety of practical and reliable counters, displays and back counters, ready to be panelled to suit your interior design. Cocktails stations have been designed to meet the demands of creative barmen. 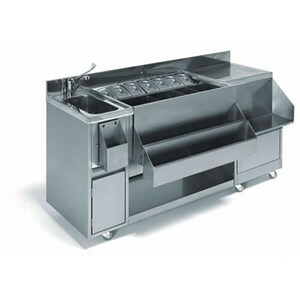 AllForFood offers a variety of cocktail stations, fitted with sinks, taps, drainboards, bottle slots and many other practical accessories to help you prepare your cocktails with ease. 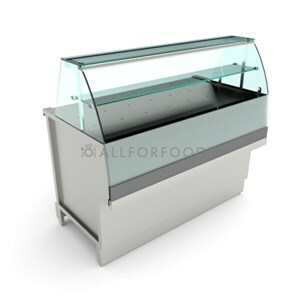 AllForFood's ambient multipurpose counters are a long-lasting and versatile solution for bars and take away shops which need to store and display their products at the same time. 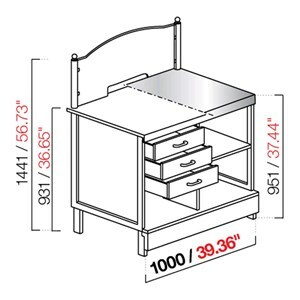 Our counters feature adjustable feet and stainless steel structure and shelves. 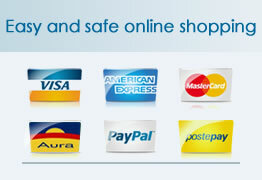 Choose the model which best meets your needs and design it to custom by adding al the accessories you require. Our back counters allow bar tenders to keep wine, juice and other drinks fresh and close at hand at the same time. 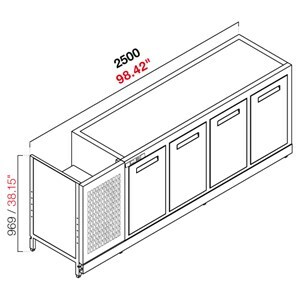 Our counters are available with built-in or remote refrigerant motor and you can choose the right counter for your bar amongst a variety of sizes and cooling systems. The success of your business depends greatly on how you display your products. This is why our pizza display counters are not only attractive but are also made of high quality materials to catch your customers' eyes. Choose amongst our selection of counters; they are available in differente shapes and sizes, with drawers, shelves and adjustable feet. Choose our bread counters to display your bread and similar oven-baked products to keep them fresh and appetizing even after many hours on show. 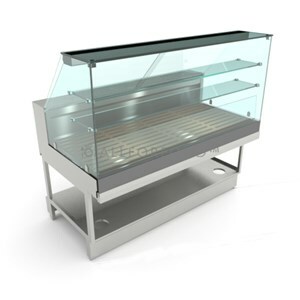 All our display counters for bars and bakeries are made of resistent steel and feature removable shelves, led lighting and a bread crum tray. 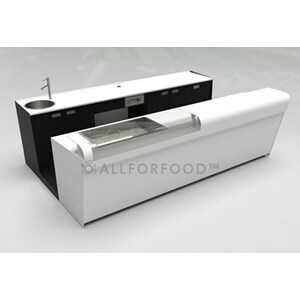 AllForFood offers a vast selection of ready-to-panel beer counters, set for your draught beer dispensers. Our beer counters have been specially designed with a drain and toughened base in order to support the weight of your beer kegs. Discover our range of beer counters and choose the one which best meets your needs amongst a variety of models and sizes. 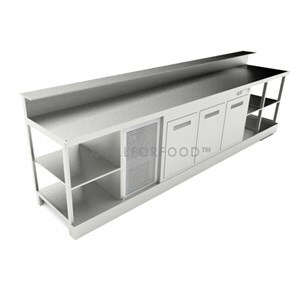 AllForFood offers a vast selection of semi-finished built-in bar counters: a great solution to suit all bars and restaurants. 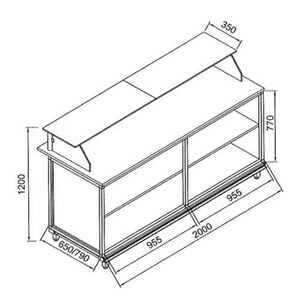 Our built-in counters are available in different temperatures (positive or negative) and sizes. Our long-lasting, reliable built-in bar counters are made from high quality materials and they have been specially moulded for easy cleaning. Our Stat Up collection has been designed to offer a "ready-to-use, all-inclusive" bar counter for your new bar. Our Start Up units include both front and back bar counter and are fitted with all the essential features you need for your business. 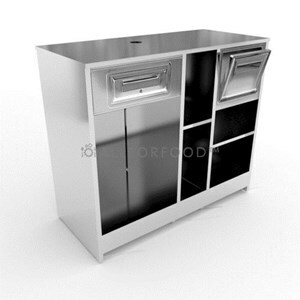 AllForFood's Start Up units are provided with a custom made front panel to suit your interior design. 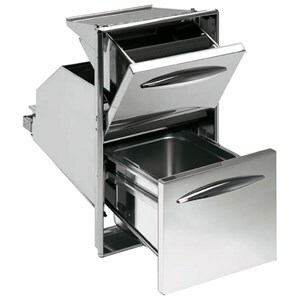 To complete the set up of the bench or counter bar, AllForFood offers you different solutions for drawers, covers and stainless steel hoppers, ideal for storing tools, beverages, coffee powder and waste to dispose of. Feature rounded corners and offer a perfect watertight. # mobile # to complete the preparation of school! 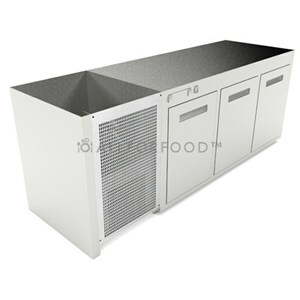 or counter bar, AllForFood offers you different solutions for drawers, covers and stainless steel hoppers.